Since 1958, RT Dygert has been a world leader in the supply of O-Rings and related products, hydraulic seals, custom machined plastics and custom molded rubber products. We have established our strong reputation by supplying our customers with quality products, timely delivery, great customer service and professional engineering assistance. 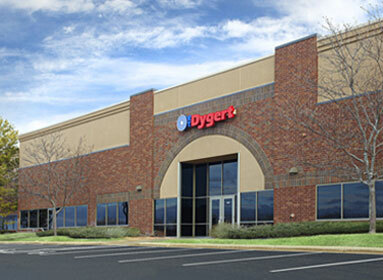 RT Dygert is dedicated to supplying a consistently high quality product. Our Quality Management System (QMS) has be found to be compliant to ISO9001:2015 standard by SAI Global, and we have a comprehensive quality laboratory, as well as a Certified Quality Engineer on staff. We understand and can comply with just about any quality requirement you might need. We are fully versed on PPAP requirements, as well as the many compliance programs required in today’s manufacturing environment. At RT Dygert, quality is always our first priority. Now that we are settled into our new warehouse in suburban Minneapolis, we have ample space for a substantial inventory of O-Rings and seals. If you need it, we have it in stock. We can also supply many value added services from JIT/Kanban programs, pre-production and kitting, special marking and packaging options and much more. Our Sales, Engineering and Customer Service staff is a dedicated, veteran group willing and able to help you with anything you need: placing orders, stock checks, quotes, or design or material selection assistance. RT Dygert offers our customers the complete distributor experience. We make it easy for you to take care of your business.